The first two weeks of schools are critical in any classroom… especially in a special needs classroom. We need to be on our game all. the. 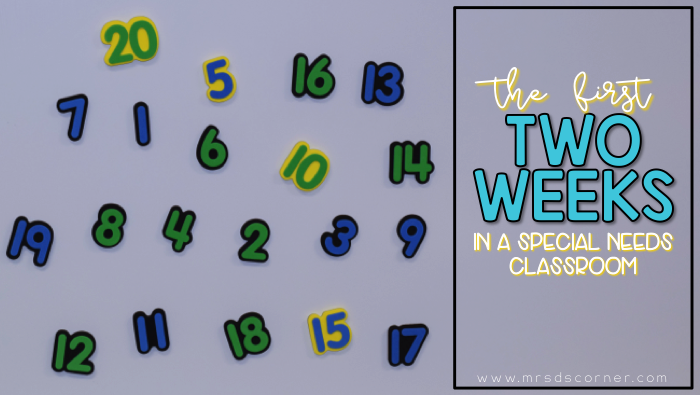 time – visual schedules ready, intentional and functional activities planned, and so much more than what actually gets written on our lesson plans. Going in to my third year in Life Skills, though, it took me a few days to figure out what I wanted to focus on during the first two weeks of school. Like I said… functional and intentional. The first thing I did when I was ready to start planning for the first two weeks of school was grab my Erin Condren Lesson Planner. You can read my review here and see the stickers here. It counts as my personal “functional”. I printed my district’s calendar and put all of those dates in my planner first. I like to be prepared and I only like to do this once, so it’s always nice to get that tedious task finished at the beginning of the school year. My next step in planning was decided WHAT I wanted my students to practice for the first two weeks. What skills do we need to recoup and relearn, and what new skills can I introduce for us to generalize as the year progresses? So I made a list for each subject. Core vocabulary is definitely the must have, must do, top priority. With nonverbal students in my classroom, this will be a huge focus for the first two weeks, and all year. 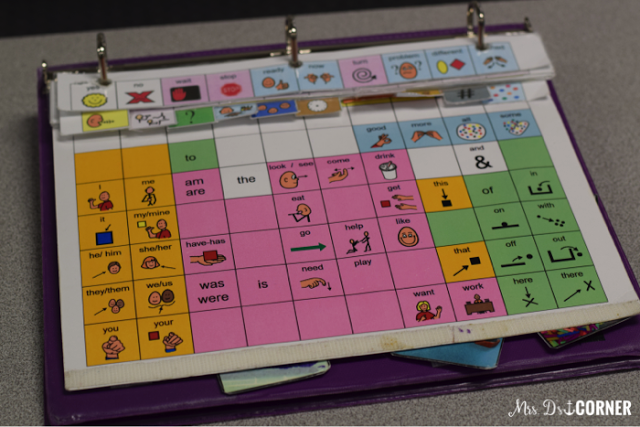 Read here about the core vocabulary activities we will be re-practicing during the first two weeks. 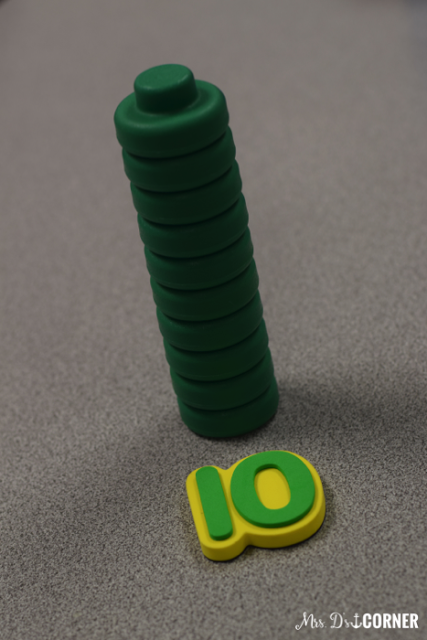 If you’re new to utilizing Core Vocabulary, you can start here. In addition to lesson plans and academics, the first two weeks are full of assessments and baseline data collection. We start with the Literacy Assessment and work our way through skills (in ELA) and then we work through the Math Assessment and do the same. 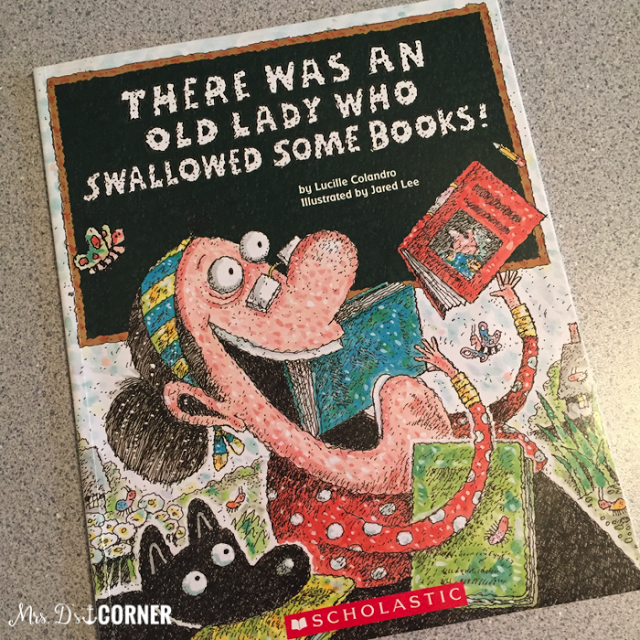 Of course the first thing I thought about what books I wanted to read with my students during the first two weeks. I love books, so this was the most exciting part! 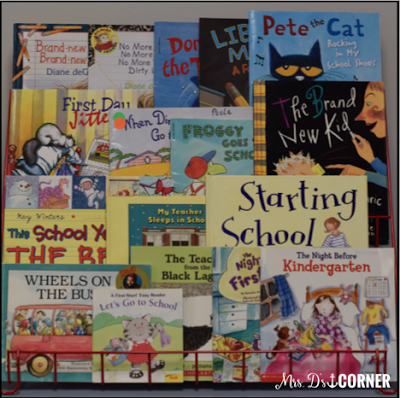 This Laura Numeroff book, If You Take a Mouse to School is one of our favorite adapted piece book sets to start the school year with. 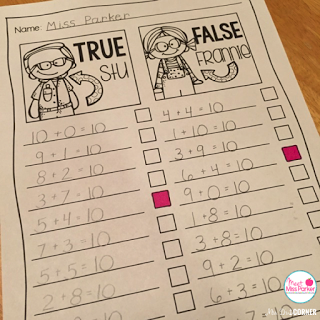 It’s a great way to practice and gauge comprehension of a story, as well as answering “Wh” questions. And it’s pretty much a given that we will also be working with that pesky Old Lady who likes to eat everything. I will start with when she eats a shell and then do books the second week. Something else we will be working on is obviously reading. Reading signs, reading classroom labels, reading each other’s names, and of course reading books! I bought these labels from Just a Primary Girl because as soon as I saw them, a work box / work task came to mind. I am going to use them as a sorting task… a very large, yet fun… sorting task. 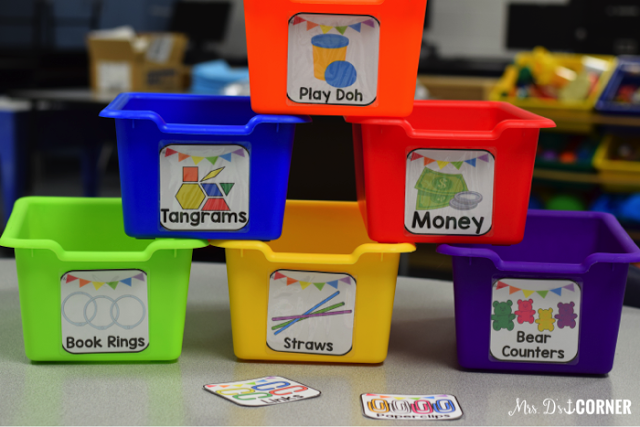 I will give the students a few “labels” of things they want to sort (giving them the power), and then mix all of those things on the table. …and then just let them go at it! 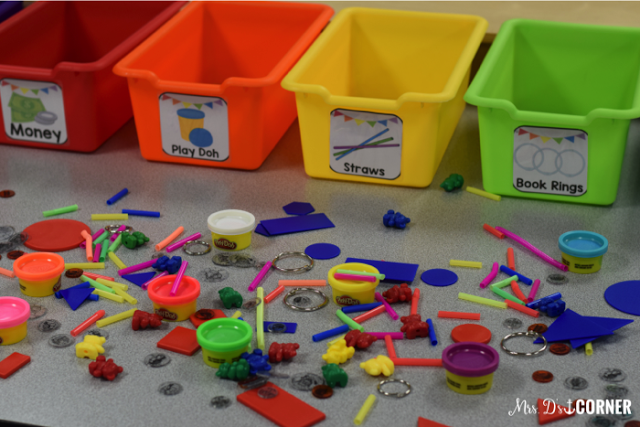 It will be a good fine motor activity for them to pick up the pieces off of the table, as well as a good work bin. I’m pretty excited about this! 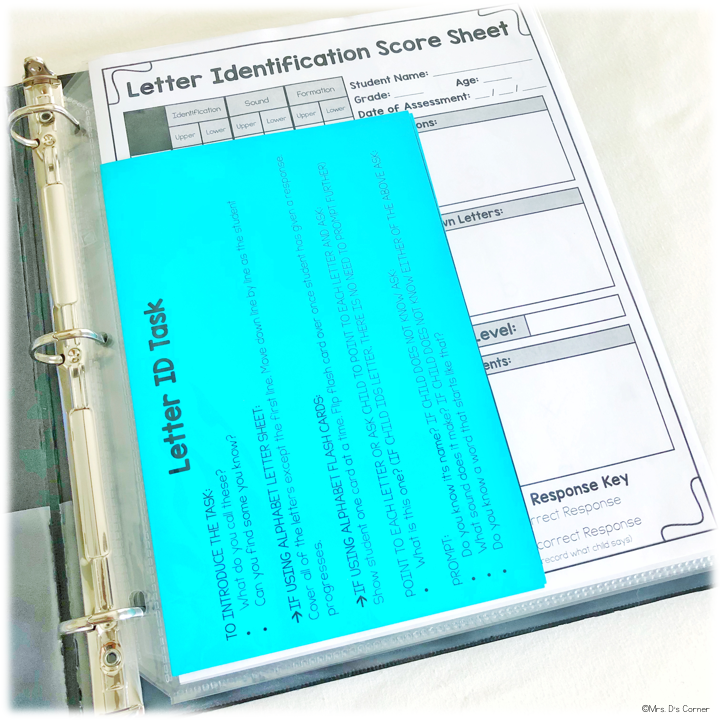 Starting out the school year means also collecting baseline data, regression data, and new student data on all of the students in your classroom. 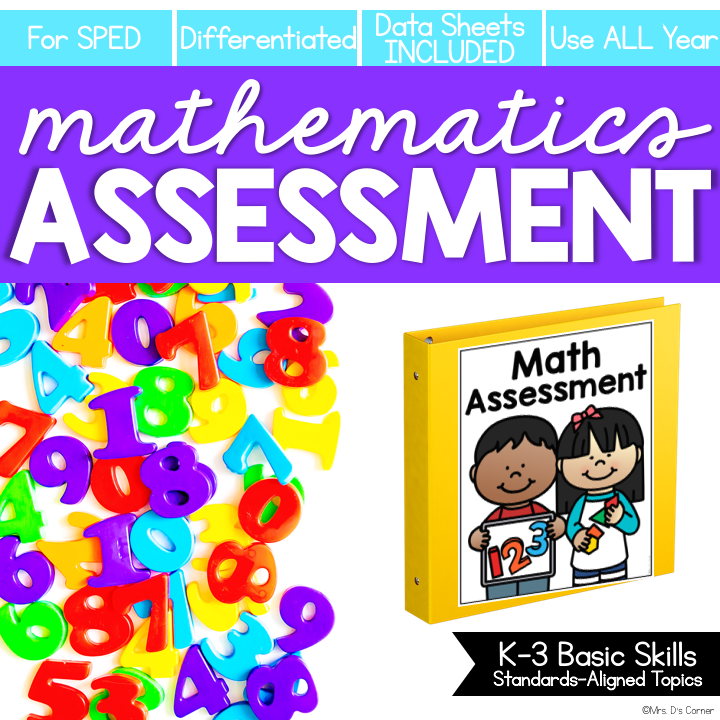 The Literacy Assessment takes care of my ELA assessment needs, and the Mathematics Assessment helps me take data on all of the math strengths and weaknesses that my students display. 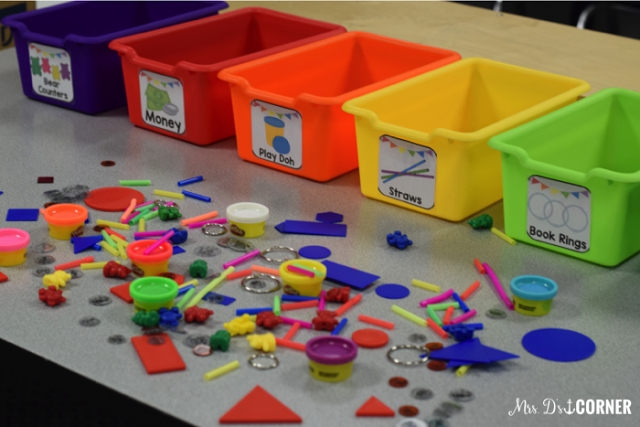 I went on a math manipulatives shopping spree at Lakeshore Learning the other week. It was euphoric. 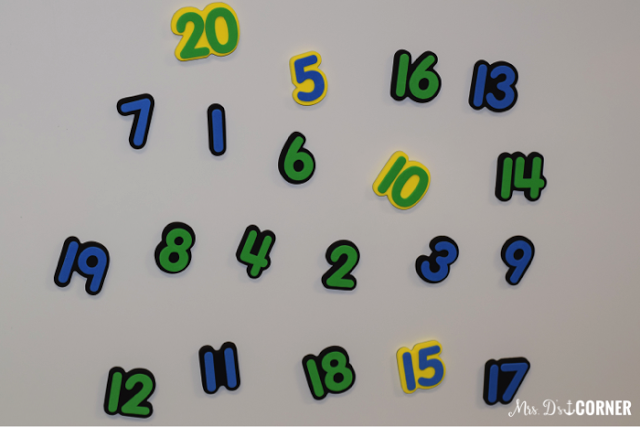 One resource I picked up were these foam, magnetic numbers. During the first two weeks we will be practicing the basics with numbers 0-20, just to take baseline data on where all of us are and where we need to start off in relation to our IEP goals. I will have them identify numbers and sequence them. Then we will get out some counters to practice our 1:1 correspondence. I really like these counters because they are stacking counters. They come in a couple of colors in the bin, which is nice. 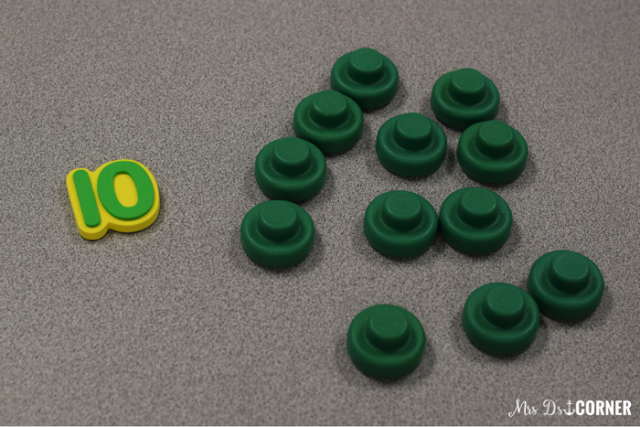 I can divide them up based on students’ colors. 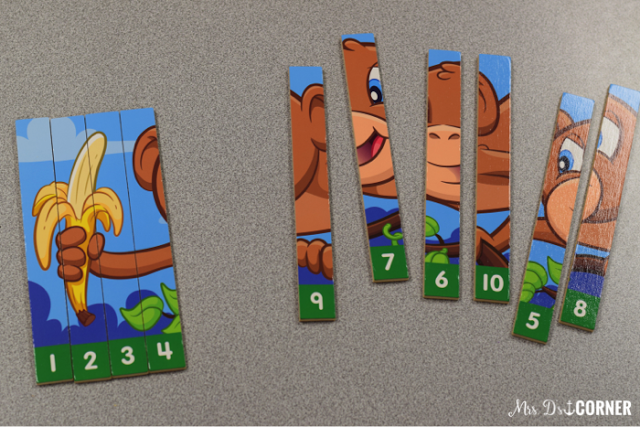 We will continue sequencing numbers with some picture puzzles… these ones can go up to 20 (I think), so I can have them work on 1-10 and 1-20. Differentiation! 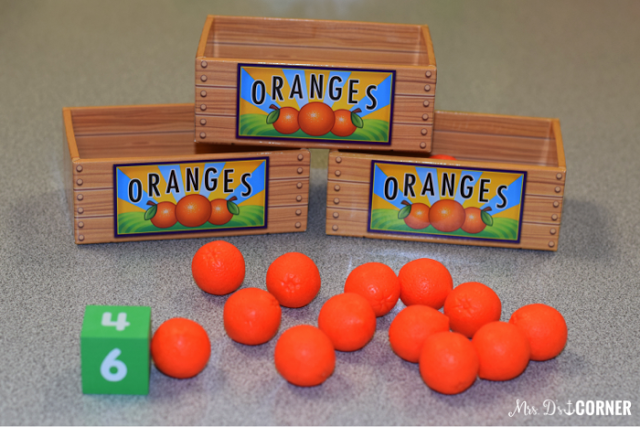 Another really fun number activity I am so excited to play with my kids is this orange basket game. The kids take turns rolling a dice and counting oranges. The first to fill up their basket wins. 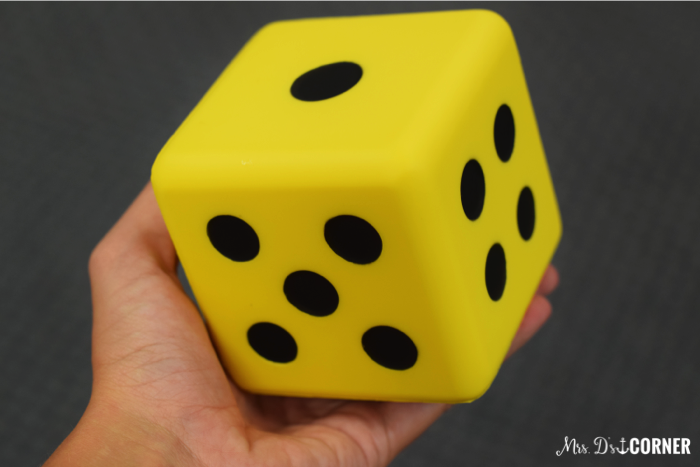 I was kind of worried about how small the die was, so I picked up a set of larger colored die. They’re the perfect size for motor practice too, so we will definitely get our uses out of these babies! And in true over-planner nature, I have these file folder games as a backup. 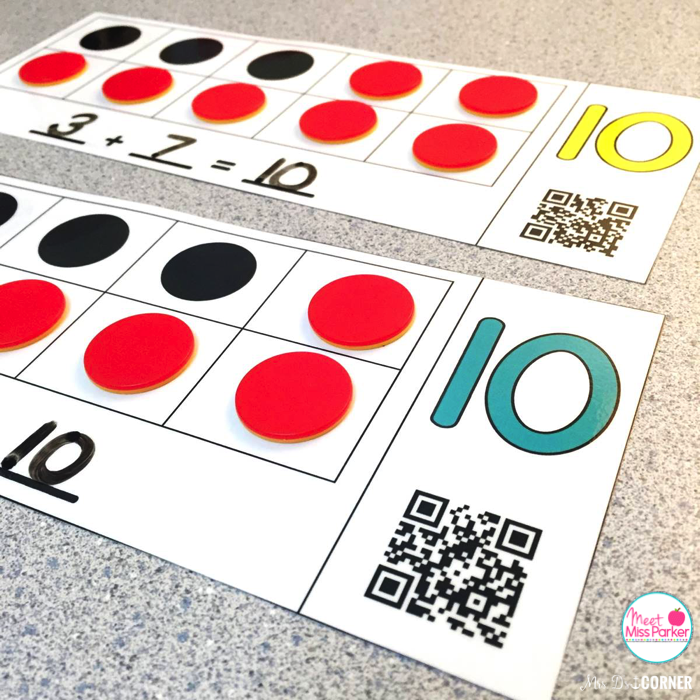 I picked up Meet Miss Parker’s Number Sense bundle during the last TPT sale specifically because it works with numbers 0-20 and incorporates technology (something that my higher students will really enjoy). I’m most excited about these 10 frames though because it’s instant differentiation. Towards the end of the second week, we will *hopefully* be getting back into the swing of things and ready to tackle school. The activities from MMP will be a great transition for us from practice and data collection to showing what we know. But let’s #realtalk for a minute… I am sure that 96% of everything I have planned, will not actually make it off of the lesson plan. My first year in Life Skills I was given some great advice: “As long as the kids eat lunch and get home safely, that’s a successful day.” And honestly, we all have those days (in regular ed and special ed). So even if you’ve planned like crazy and it all falls apart, just remember that advice. It doesn’t make you any less of the amazing teacher that you are. 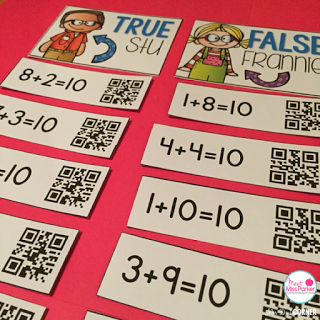 For first year teacher tips, check out this blog post. I love all of your pictures!!! So many good activity suggestions, too! I just did a Google search for them, and they're discontinued 🙁 That stinks! Here is a link to them on the Lakeshore website, but I would try finding them on eBay! Thank you Stephanie!!! You are an inspiration!!! Coded organization and wanted to purchase all the materials. Where can I find them?